Psychologists from San Diego State and the University of Chicago have just published an interesting study. They used a common research technique, the implicit association test, to measure whether people regarded Barack Obama and other candidates as more foreign or more American. They found that research subjects — particularly when primed to think of Senator Obama as a black candidate — subconsciously considered him less American than either Hillary Clinton, John McCain or even former British Prime Minister, Tony Blair. It’s not that the participants in the study (college students at the two universities) actually believed Senator Obama to be foreign. But the implicit association test measures the way the unconscious mind works, and in following instructions to sort images rapidly, the mind of many of the participants balked at accepting a black candidate as fully American. This result mattered: The more difficulty a person had in classifying Senator Obama as American, the less likely that person was to support him. You can also take a similar implicit association test here. For those who confuse correlation with causation, we salute you! It is now possible to assign blame for the current economic crisis. According to Alexis Petridis, who writes for the British newspaper The Guardian, it is the Australian rock band AC/DC to blame. The venerable band’s latest release, Black Ice, just became the number 1 recording in Britain. The last time an AC/DC album reached number 1 was 1990 which was also the last time Britain suffered a recession. In fact, every time the British economy has tanked since 1973, AC/DC has had a number 1 album. 1973: AC/DC form in Sydney, Australia. AC/DC’s appeal in unpredictable times is straightforward. 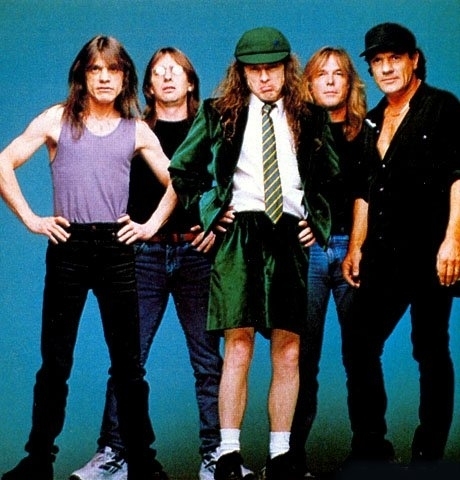 People crave something uncomplicated and dependable in a time of uncertainty, and rock music has never produced a band so uncomplicated and dependable as AC/DC. Small wonder that people turn to AC/DC in their millions when the world appears on the brink of chaos. Here is escapism into a world untroubled by sub-prime mortgages, record public finance deficits and the baleful state of the FTSE 100, but escapism of the most comfortingly consistent kind. Personally, I would prefer to round up the real criminals, all the libertarian, laissez-faire, supply-side, deregulating, Chicago Boyz, followers of the late “pure market” economist “Uncle Miltie” Friedman. We could dress them in British schoolboy knee pants and force them to listen to non-stop AC/DC. Unless, of course, the Bush Administration would call that torture. When I was a kid, my teachers loved to show us “educational” films. These were old 16mm films that had been viewed so many times they were guaranteed to break at least once per showing. The picture was usually grainy, the sound garbled, the story line preachy and boring. The two films from the series I remember the most vividly are “Our Mr. Sun” and “Hemo the Magnificent.” I think “Hemo” was shown in every science class I took from 4th grade through high school. 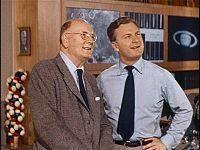 Pretty much everything I know about the human circulatory system, I learned from that film. The reason I am mentioning these films is because I came across a Youtube clip of one film from the series that I don’t recall having seen before. I either slept through it or, possibly, my science teachers didn’t show it because the premise of the film seemed too outlandish. The film, made in 1958, was called The Unchained Goddess and it predicted, with uncanny accuracy, Global Warming. Watch the clip below. “Looking at this dynamic personality now, it mystifies me that I wouldn’t remember her,” said Jim Fisher, Palin’s journalism instructor at the University of Idaho, where she graduated with a bachelor of science degree in journalism in 1987. “I don’t remember her,” said Roy Atwood, Palin’s academic advisor at the university. Indeed, interviews with a dozen professors yielded not a single snippet of a memory. The Times reporter was able to turn up only one University of Idaho classmate who remembered Palin. Stacia Crocker Hagerty, 42, lived on the same dorm floor as Palin and considered her a good friend. 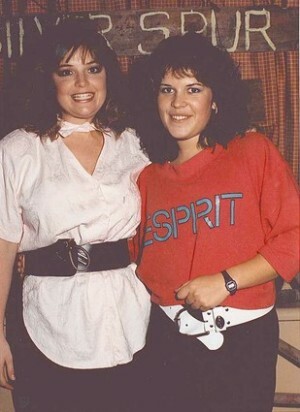 Still, the Coeur d’Alene lawyer and real estate agent said she had only a few random memories of Palin and a couple of snapshots — including one at a 1986 “kegger” in which they sport big hair and wide belts over untucked blouses. When she ran for Alaska governor in 2006, Palin admitted that she had smoked marijuana, but Hagerty said she never saw her friend do drugs. Hagerty said Palin was good friends with Jill Loranger, their resident advisor for two years. When reached at her home in Hailey, Idaho, Jill Loranger Clark was mystified. I guess I have been paling around with terrorists! We all know that one of the basic logical fallacies is “guilt by association.” I suppose on some level this “birds of a feather flock together” argument is persuasive. For example, if someone were married to a member of an organization that preached armed insurrection against America, that would be cause for concern. But the current, pathetic attempt by McCain, Palin and the rabid pack of right wing attack dogs (Hannidy, Malkin, Limbaugh and all the other usual suspects) to link Obama to the “terrorist” Bill Ayres is simply laughable. Ayers is a noted academic who has written a number of well respected books on education. I have even used his book, “To Become a Teacher: Making a Difference in Children’s Lives,” as a supplementary text in classes I have taught. I have attended a number of conferences where he spoke or was a fellow attendee. I have met him, talked with him and, at the 2006 annual conference of the American Association of Educational Research in San Francisco, had lunch with him. 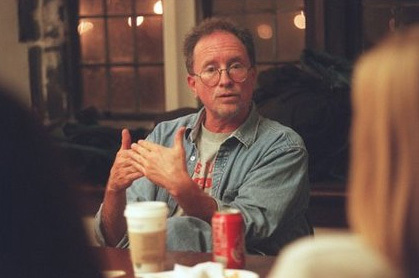 Even though I am old enough to remember the “Weathermen,” I never on any of those occasions made the connection between Dr. Bill Ayers, educator, and Bill Ayers, the “terrorist.” So, for me at least, it makes no sense to naturally assume Obama knew of Ayers’ background when they served on a board together in Chicago. But, the deeper issue in this whole sorry Obama smear is why it resonates with so many Americans. I think it does so because it reflects a moral code that has come to dominate the thinking of many of those on the right. It is a mindset that refuses to talk to, listen to, or negotiate with “the enemy.” It is a simplistic, black and white, good vs evil, morality that sees a world made up of “us” and “them.” This is a morality that refuses to believe “bad” people might change over time or ever engage in positive, constructive behavior. This is a mind set that identifies “evil empires” or nations that comprise an “axis of evil” and refuses to speak to them. It is a morality born in fear. If I talk to the “evil one,” I might be tempted to commit evil myself. I will be corrupted just by associating with the “other.” And, of course, it results in the bizarre spectacle of a Presidential debate where one candidate refers to his opponent as “that one” and refuses to look him in the eye. I was unaware of Bill Ayres’ “terrorist” past when I met him or heard him speak. But, had I known and refused to read his book, hear him speak, or have a conversation with him, I would be the worse for it. When it comes to the subject of education, teaching and learning, I found him to be an inspirational writer and a thoughtful and insightful speaker. And, I am guessing, he had some valuable contributions to make while a member of the the Chicago Annenberg Challenge board. He was, after all, named the Chicago Citizen of the year in 1997. Of course, none of this will convince the far right. They are even willing to “up the ante” and discount the “Citizen of the Year” award by declaring the entire city of Chicago evil and corrupt. They have already set that precedent by condemning New Orleans (shiftless African American wefare recipients) and San Francisco (home of gay pacifists), so it was an easy step to take. As McCain’s campaign becomes more and more desperate, the only American community guaranteed to be immune to the “guilt by association” charge will be Wasilla, Alaska. O.K. I get it now. When McCain decided to “suspend” his campaign to concentrate on saving the nation, I didn’t understand how the process would work. Now I see that he plans on suspending one state at a time! John McCain is pulling out of Michigan, according to two Republicans, a stunning move a month away from Election Day that indicates the difficulty Republicans are having in finding blue states to put in play. McCain will go off TV in Michigan, stop dropping mail there and send most of his staff to more competitive states, including Wisconsin, Ohio and Florida. Wisconsin went for Kerry in 2004, Ohio and Florida for Bush. Sort of like pulling off a bandage slowly rather than all at once. It now appears that suspending the campaign in Michigan is actually part of a clever strategy on the part of those brilliant minds who advise McCain. 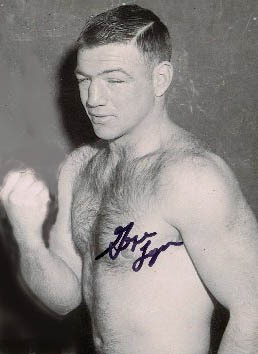 They are using the old “rope-a-dope” strategy perfected by Mohammad Ali in his title fight against George Foreman. On a conference call for the press hours after it was announced that McCain would be pulling resources and staff from Michigan, Mike DuHaime, the campaign’s political director, and Greg Strimple, its senior adviser, outlined a strategy akin to political rope-a-dope, in which their campaign had goaded Barack Obama into pouring in money into unwinnable locales. One of the strategic decisions our campaign has made is to let Mr. Obama spend his resources there until the point where we got closer to the election. Unfortunately for Striple, Obama has taken leads in several of those “unwinnable locales” including Ohio, Virginia and Florida. In the toss-ups states, the Obama is fairing even better, perhaps save Nevada. Oblivious to polls and living in his separate reality, Striple spins away. I am sure that Barack Obama and his campaign today are frustrated because despite the unmitigated negative campaign they have run for the last three weeks, despite the financial crisis that is facing our nation, despite their massive spending in the last ten days, they are having a tough time breaking 50. 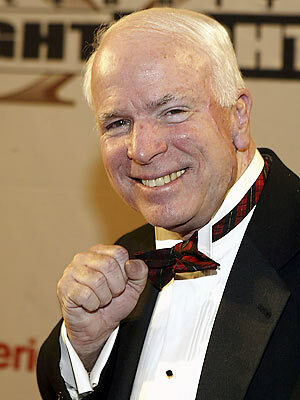 Later in the call, Strimple was asked if he could point to a poll where McCain had broken 50. He ignored the question. 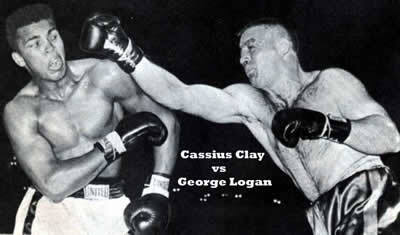 The fight that I think of when I think of Obama vs. McCain is the 1962 fight between Cassius Clay and Idaho’s own George Logan with Obama playing the part of the young, gifted, but relatively inexperienced Clay and McCain in the role of the old, slow Logan. Logan threw lots of left hooks and found himself hitting nothing more substantial than air. Clay’s quicksilver hands cut his fragile brows to ribbons and the referee stepped in with Logan struggling to see the blur of leather flying his way. It was all over in four rounds.